Halloween will soon be here. In less than a week from today, the ghouls and princesses and pirates and vampires and who knows what else will arrive at the front door, trick or treating for candy. 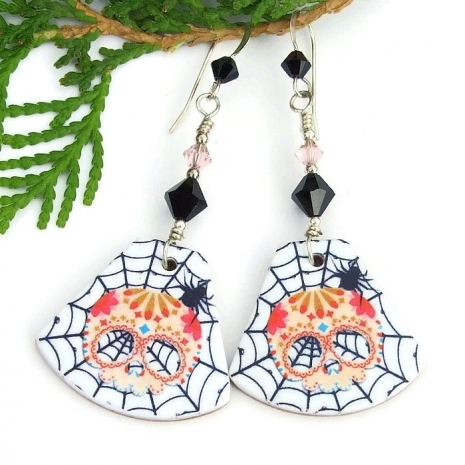 The three pairs of earrings below are perfect to wear pre-Halloween, to Halloween parties . . . or to wear when adding that all important candy to treat bags!